ELEGANT ATLANTIC GRAND MODEL HOME ON A FABULOUS WATER LOT WITH ALL THE BELLS AND WHISTLES! CUSTOM DESIGNED WALL UNITS IN BOTH GREAT ROOM & DEN/BR3. RARELY AVAILABLE EXTENDED BEDROOM 2 & SHOWER. BEAUTIFUL DESIGNER WINDOW TREATMENTS, HI-HATS GALORE, CUSTOM CLOSETS, EXQUISITE BATHROOMS WITH MARBLE COUNTERTOPS & UNDER MOUNT SINKS, COMFORT HEIGHT TOILETS, ACCORDION SHUTTERS, UPGRADED LANDSCAPING, CUSTOM FRONT ETCHED SIDE LITE. WIDENED WALKWAY WITH SCREENED FRONT DOOR AND INCLINE. 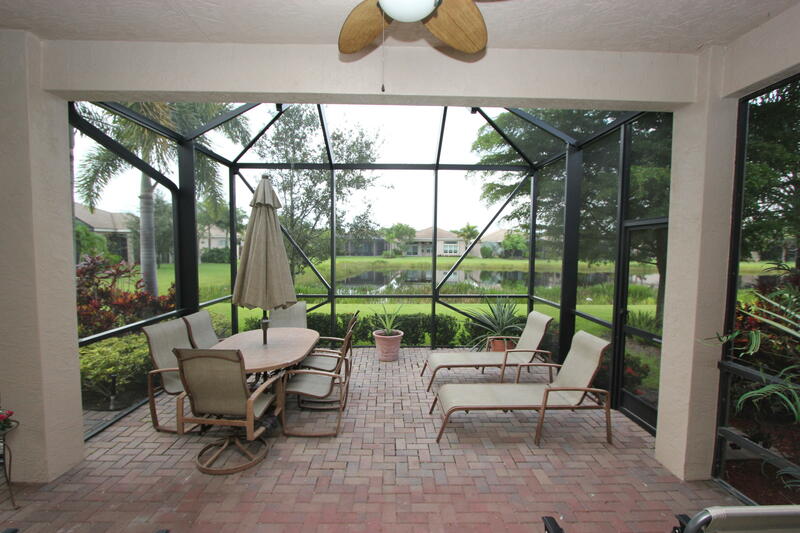 RELAX IN YOUR BEAUTIFUL & SERENE LAKE FRONT EXTENDED SCREENED-IN LANAI. VERY ACTIVE 55+ COMMUNITY WITH A FULL TIME SOCIAL DIRECTOR AND OVER A 40,000 SQ FT CLUBHOUSE. OVER 80 CLUBS, TENNIS, PICKLE BALL, RESISTANCE POOL, LAP POOL, FREEFORM POOL, CAFE, ART CLASSES, SHOWS, FITNESS CENTER, AND SO MUCH MORE. WELCOME HOME!! !